California Lost Coast Map is just what you need for planning a day hike or backpacking adventure. The Trailmaster created this map to share the wonders of this wilderness shoreline and is pleased that each year more and more hikers from across the country and around the world are discovering the beach and mountain trails on the Lost Coast. Get the California’s Lost Coast Map from Wilderness Press, which usually offers it online for 25 percent off. 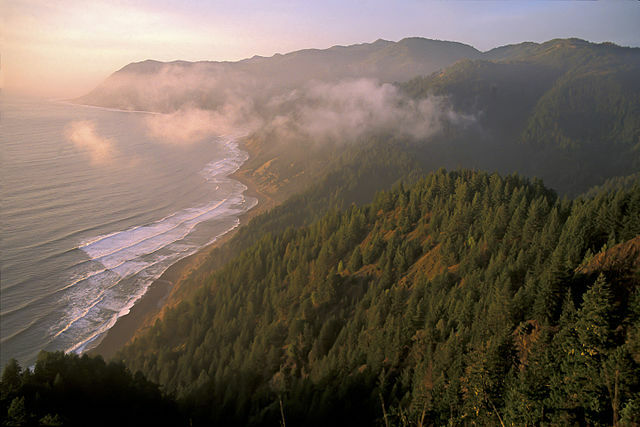 Sinkyone Wilderness State Park, along with the BLM’s King Range National Conservation Area to the north, comprise California’s Lost Coast, 60 miles of the state’s wildest coastline located in northern Mendocino and southern Humboldt counties. One reason the coast is “lost” is because no highways cross it. So rugged is this country, highway engineers were forced to route Highway 1 many miles inland from the coast—and the region has remained sparsely settled and unspoiled. It’s magnificent vistas and varied terrain—dense forests, prairies, coastal bluffs, beaches—reward the hardy explorer. I created the first version of this map way back in 1988 when I spent a month as a volunteer ranger at Sinkyone Wilderness State Park. Just after I moved my belongings into the old ranch house, it began to rain. And rain. And rain some more. And by the next day the road to the park was closed by a minor mudslide, marooning me from the outside world. I had a glorious time. A state park and 20 miles of coastline all to myself. Well, almost to myself. The sky was filled with gulls and pelicans, sea lions and harbor seals gathered at Little Jackass Cove, gray whales were migrating near shore, and a herd of Roosevelt elk seemed to accompany me wherever I hiked. I figured a few more nature-loving, don’t mind the rain kind of hikers would love the Lost Coast, too, if only they could find it and know where to hike. So I hiked all the trails and supervised the production of a map. 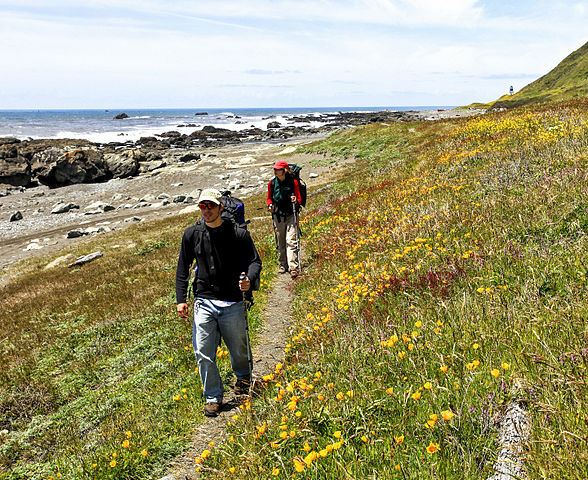 Every few years the map (published by Wilderness Press) gets an update, and of course I love to return to the Lost Coast to hike and to field check “California’s Lost Coast.” The trail system sure is a lot better these days, with pretty well-maintained trails and trailheads. That being said, much of it is still wilderness hiking, and far more remote than any other length of coast in California. The map also includes descriptions of a number of my favorite day hikes in the King Range National Conservation Area and Sinkyone Wilderness State Park, some along the route of the Lost Coast Trail, which extends the length of the two jurisdictions. Lost Coast Trail is starting to appear on those Top Ten and Top Twenty North American Hikes lists, and I say deservedly so. The BLM has a very helpful visitor center, with a great staff and information handouts. Backpackers in particular will need to drop by to find out about trail camps and keeping your food out of the paws of the increasing bear population. Have a great time on the Lost Coast!